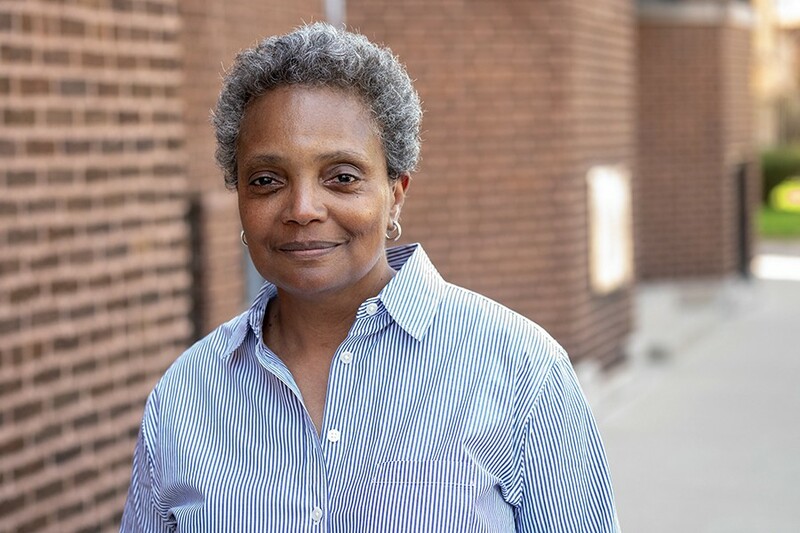 At first blush, it may seem like mayoral hopefuls Toni Preckwinkle and Lori Lightfoot have nearly identical transportation platforms. After all, both Preckwinkle and Lightfoot said they're on board with multiple policy ideas floated by the Active Transportation Alliance in its candidate questionnaire. These include reduced transit fares for low-income Chicagoans; adding 50 miles of bus lanes; installing 100 miles of bikeways; building a continuous Chicago River trail; developing a transportation and infrastructure equity plan; implementing ride-sharing policies that encourage multipassenger trips; upgrading the Metra Electric line; and "prioritizing safety, equity, public health, and the environment above [motor vehicle] travel times when designing city streets." But the two candidates do sometimes have different points of view when it comes to transportation. For example, during a March 7 NBC/Telemundo debate, host Carol Marin asked them if they ride bikes. "I do," said Lightfoot. Asked if she wears a helmet and obeys traffic laws, she replied "Of course." Preckwinkle said she doesn't bike. "I walk," she said. "I walk our dog." When Marin asked if she'd support a crackdown on cycling infractions, Preckwinkle didn't say yes or no, but provided a windshield perspective on the issue. "Well . . . many of our bike riders don't pay any attention to the traffic laws, which is not only infuriating, but also scary for drivers." That's not to say that Preckwinkle is hopelessly car-centric. Her responses to the Active Trans survey suggest that her transportation policies are generally progressive. But some of her positions are a little more driver-friendly, and, therefore, less walking-, biking-, and transit-friendly than Lightfoot's. I recently checked in with both campaigns to ask about these differences and a few other transportation issues. Active Trans asked the candidates if they would commit to earmarking $20 million a year in the city budget for walking and cycling infrastructure like curb extensions, pedestrian islands, pedestrian countdown signals, and bike lanes. Lightfoot said yes, which was no surprise because that idea is one of the planks in the transportation platform on her website. (Preckwinkle hasn't published a similar platform, although she did oversee the creation of Cook County's first long-range transportation plan in 75 years.) "Lori is committed to building a [transportation] system that is equitable, efficient, and safe," said her press secretary Christian Slater via e-mail. "That's why she will invest in walking and biking infrastructure." 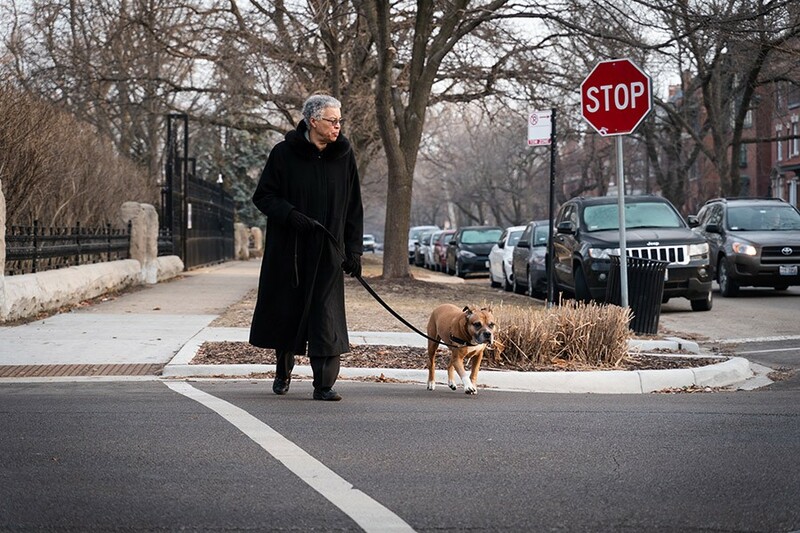 Preckwinkle marked "No" on the questionnaire, adding that she is "hesitant to predetermine dollar amounts in budgets," but said she may wind up spending more than $20 million a year on bike/ped projects. Reached on the phone, she cited the Cook County plan as proof that, as mayor, she wouldn't give pedestrians and cyclists the short end of the stick. "We put together a multimodal approach that includes transit, freight, walking, and biking." Lightfoot endorsed Active Trans' proposal to convert two of the eight lanes on the drive to transit-only corridors as part of the upcoming reconstruction of its northern portion, although she wrote that "the devil's in the details" and she'd want to see the results of a traffic study before changes are made. Preckwinkle wasn't down with the proposal, writing that she'd seen studies that found that creating speedy transit on the drive via car-free lanes wouldn't draw much new ridership due to the proximity of the Red Line. "Given the congestion on Lake Shore Drive, it makes sense to use multipurpose lanes with transit and tolled [vehicles] together," she told me. Active Trans and a coalition of nine other civic and community groups have disputed the models that predicted fast transit wouldn't draw heavy ridership, and the groups argued that multipurpose lanes would become clogged with cars. Lightfoot's platform notes that Chicago's Loop Link express system has seen only modest speed gains, partly because motorists who drive in the bus-only lanes are rarely ticketed. I asked if she'd support automated enforcement of the lanes, as is currently done in New York. "Lori will work with the state legislature to permit fair camera enforcement of bus lanes," Slater said. Both candidates have blasted Chicago's motorist ticketing system, which has been shown to trap many low-income residents in a vicious cycle of debt, and called for ending drivers' license suspensions for nonmoving violations. Preckwinkle said she's also opposed to bus lane cameras. "If you go to Traffic Court, it's a parade of black and brown people . . . so I'm hesitant, frankly, to commit to more cameras." Again, both candidates said "Yes" to Active Trans' proposal for a 50 percent discount on CTA, Metra, and Pace fares for residents at or below the federal poverty line, similar to the Seattle area's reduced-fare program. "I support making transit affordable for those who are least able to afford it and most likely to depend on transit to travel to work, school, conduct errands, or receive medical services," Lightfoot wrote. However, Preckwinkle has made a few contradictory statements at candidate forums about who would qualify. When asked to clarify, she noted that when disgraced then-governor Rod Blagojevich made fares free for seniors, regardless of income, it put a major dent in the CTA budget. "I would focus on young people," she said. "Many students go to schools outside their neighborhoods." Both campaigns confirmed that they're opposed to Elon Musk's O'Hare Express scheme. Slater called it "Musk's fiction of a tunnel." Preckwinkle said she thinks the project is unlikely to pass City Council before the next mayor takes office and indicated that she would kill it. "If we're looking for an express to O'Hare, there are considerably less expensive options using existing rail lines." Lightfoot and Preckwinkle are both against Rahm Emanuel's proposal to raise the state gas tax to fund infrastructure. Slater called it "regressive." Preckwinkle said Illinois governor J.B. Pritzker's graduated state income tax proposal would be an "equitable way to raise funds for transportation." And both campaigns said they would end the Chicago Police Department's admitted practice of using stops for minor bicycle violations as a pretext to conduct searches in high-crime communities of color. Preckwinkle compared that strategy to the CPD's inequitable marijuana enforcement tactics. "We can't move forward together as a city, as a state, as a country, if people aren't willing to see the other person and not villainize them."